Heat a small skillet over low heat and add the sesame seeds. Shake often. Cook until fragrant, just a few minutes. Be careful not to burn. 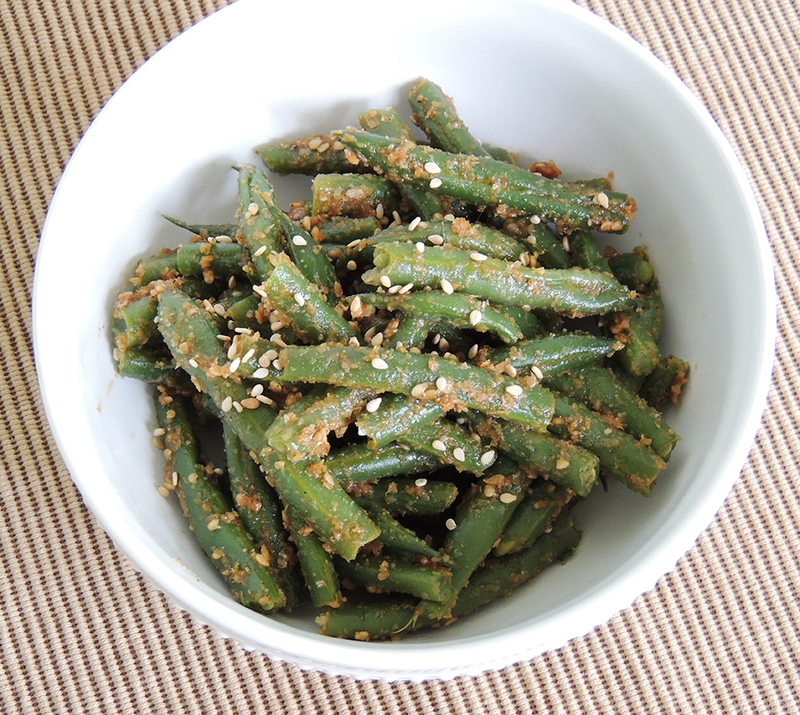 Combine sesame seeds, soy sauce and sugar in a large bowl. If it is too thick, add a little water to loosen it up. Bring a pot of salted water to a boil and add green beans. Cook about five minutes or until tender. Drain. Add the cooked green beans to the prepared sauce. Toss well. Serve immediately.